Girlings are proud to be members of these key governing bodies, we believe it is important to ensure we are operating to industry standards and that our tenants and landlords receive the highest level of customer service. 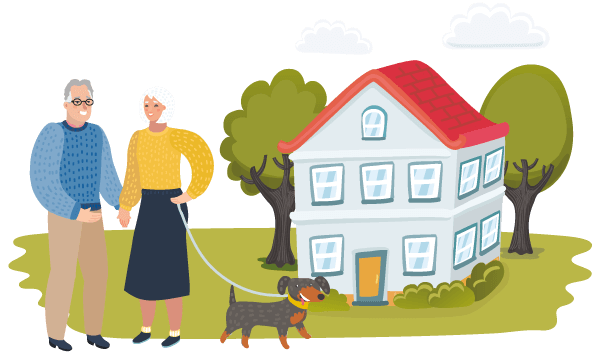 ARHM With a mission to continually raise standards by promoting best practice and ethics in the management of retirement housing ARHM represents organisations that manage over 1000,000 retirement properties in the UK. ARLA Propertymark The Association of Residential Letting Agents is the UK’s foremost professional body for letting agents. Its members are professionals working at all levels of letting agency, from business owners to office employees. NALS is an independent, not for profit licensing scheme for lettings and management agents operating in the Private Rented Sector. It is the most respected and recognised scheme of its type; the sole focus is consumer protection. TDS – Tenancy deposit Scheme Every landlord or letting agent that takes a deposit for an assured shorthold tenancy in England and Wales must join a tenancy deposit scheme – this established, award-winning deposit protection scheme, safeguards deposits on private tenancies and resolving disputes over their return. Safe Agent Letting agents displaying the SAFEagent logo are part of a Client Money Protection (CMP) Scheme which ensures that they are protecting their clients monies. The Property Ombudsman (TPO) This scheme has been providing consumers and property agents with an alternative dispute resolution service for 25 years and provides consumers with a free, impartial and independent alternative dispute resolution service. Rent Smart Wales Under the Housing (Wales) Act 2014 all landlords and agents must register and apply for a Rent Smart Wales licence in order to let and manage property in Wales.